I have to say it is very smart, this livery does suit these buses. I have heard suggestions that we will also be seeing local fleet names for TAVISTOCK shortly. Surely will should also be seeing PLYMOUTH at some point especially as they have been pulling back from Devon services such as the X80. When the Ferrybus service first started in 1982, the LH's used carried a wooden board with Ferrybus and the coat of arms of Plymouth and Cornwall. In the mid to late 80s, Leyland Nationals sported a lovely livery with Ferrybus framed around the rear wheel arch. I know I'm in jeopardy of being absurdly picky now, but it's a bit of a shame that the local landmark silhouettes haven't been applied to the Torpoint fleetname. Even a Torpoint Ferry drifting through the all of the letters would have been very enhancing, especially considering how large they've made this particular fleetname. Seems like a good idea to me. 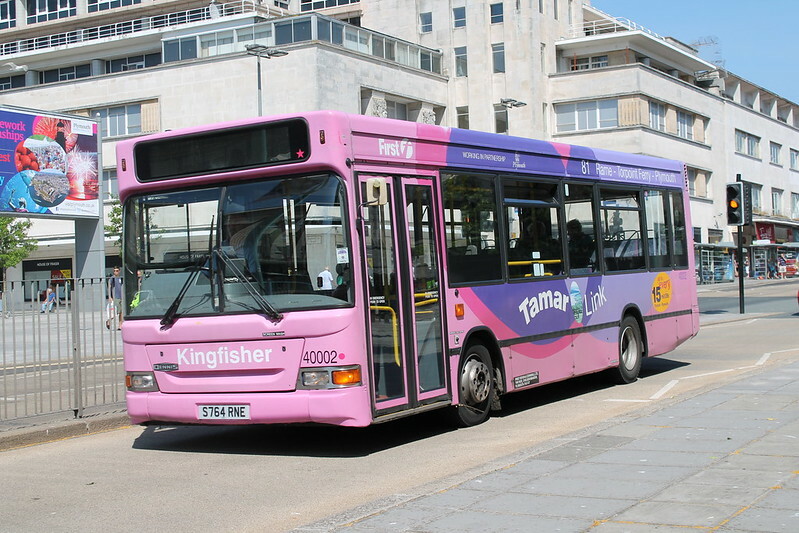 I would hope First Devon will change to First PLYMOUTH soon as to be fair most of the Devon operation is in Plymouth city except of course the 83/86 which can be branded TAVISTOCK ? It makes more of a local feel going in the opposite direction to Go Ahead who seem to be trying to marjonalise the Citybus name perhaps? Can't quite make out the cheap fares advert on the pictured vehicle?? I believe there are still more price cuts to come from First which will be welcome. Hopefully Citybus will think twice before trying to muscle in on First turf again following the poor performance of the 12 and 32... Very little if no effect on First at all. Several people I know have stated that along the Devonport/St Budeaux/City corridor in the past week or so they have noticed empty Citybuses being followed by Full First buses...something not seen for some time...people will like the cheap fares First offer against the rather overpriced Citybus. 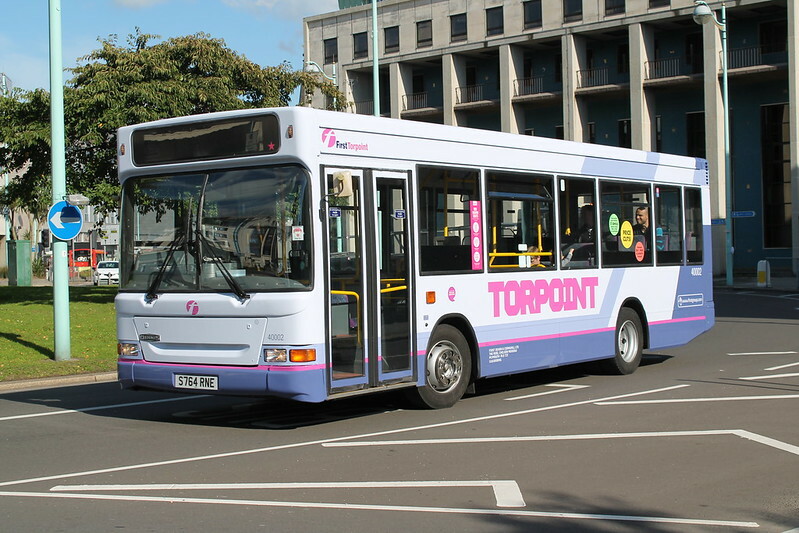 I have been told by several drivers First are really up for the fight with Citybus and some massive investment is on it's way to First's new PLYMOUTH network. This could really backfire on Citybus i think. First are not ready to pull out...FAR FROM IT! Sorry everyone for the delay in getting comments published - computer wasnt playing! All up to date now though.